The Internet is becoming a place where more and more people are turning to, to find jobs and to make extra money. But it is also becoming a place for a lot of scammers to take your money and run with it. Is Prize Rebel one of them? Can you make money from that platform? What is Prize Rebel in the first place? Here’s my personal review! Prize Rebel is a site where you can complete microjobs and you get paid in return. The microjobs consist mostly of surveys and offers, but you can also do a few other things to earn differently, such as watching ads, watching how-to videos and completing daily tasks. You can also enter contests and raffles for your chance to get better prizes and rewards. I have come across a lot of different survey websites when I was looking for ways to earn money online a few years ago and I could tell right away that there are some features within Prize Rebel that stand out a lot. Know that 1 point earns you only 1 cent, so it can get very tedious and very boring to work for this company, not to mention the amount of time it will take you to earn on this website. Although this is pretty common with most survey website, you get to earn some money while setting up your account. It may seem like Prize Rebel is looking to get as much information from you as possible, but its algorhythm uses your information to match you up with surveys. You earn 5 points with this. Just as this suggests, letting them show you how to navigate the page will earn you another 5 easy points. They show you where to go to complete jobs, to change information in your profiles and also through the different ways you can earn on their site. Earn even more when you achieve the daily challenge. This shows you the number of points you need to achieve in 1 day for you to get extra points in rewards. So today, I need to earn 152 points in order for me to make an extra 13 points. Another way for you to earn even more would be to refer somebody to the website. When they work and earn, you get to earn 20% of what they earn in commissions. So if they make 500 points, you will make 100 points doing literally nothing. By earning more points, you not only earn more money, but the amount you make also increases. The more you earn, you go through account levels and the levels will determine the percentage commissions you earn from your referrals’ earnings, the amount in bonuses you get and also the amount in discounts you get when you cash out. There are 5 account levels namely the Bronze, Silver, Gold, Platinum and Diamond and here is a screenshot of the table so you can better see what it looks like. So for example, if you are able to make 2500 lifetime points, then you’re bumped up to the Gold level, where you’re able to earn 5% more from my referrals, you also get 1% special bonus and 1% special discount. Special bonus – This is the percentage that you will get at the end of the month in addition to the amount that you have already earned within that month. If you earn 500 points within that month, then you will earn 5 extra points at the end of that month. Special discount – This is the percentage discount that you will get off of what it normally costs you to cash out a reward. So if it usually costs 500 points to cash out, you’ll only need 495 points. Prize Rebel has a big selection for you to cash out your prizes. Of course, the most popular would be Paypal cash, Prepaid Visa gift cards and Amazon Gift Cards but there are also some unusual ones there, like Air Canada, Burger King and a fishing bait online store. The lowest cash out threshold is 156 points and you can get a $2 Amazon gift card. Here comes the reason why I do not recommend this website to be a good way of making money. If you are looking to make a few dollars a day to cover the cost of your coffee, then Hey! it’s totally worth your while to use this website. The surveys that pay really well are gone in almost an instant and the most you can make if you were able to grab one good-paying survey after another, would be 5670 points, which is $56.70 in 1 hour. But let me tell you and show you how this is VERY unrealistic. As you can see in the screenshot, there is a survey that takes 2 min to complete and that will reward me 189 points. If it really took me 2 min to complete it, then I would complete 30 of those in 1 hour, at best. 189 points x 30 surveys = 5670 points total in 1 hour. But notice that most of the surveys that are available, take you over 10 minutes to complete, earning you less than 70 points each. So at best with these surveys, you can only complete 6 of them within 1 hour, making you less than 420 points ($4.20) and that too, only if you actually qualify for the surveys, your internet is seamlessly quick and the pages don’t take forever to load. That’s not even the LEAST of the problem. The real problem is to get QUALIFIED for the surveys. When you click on the survey to start answering, you are asked general questions for them to determine whether you will be the right match depending on the type of survey that it is. And many times, even if you qualify, you are cut short after 7 – 10 minutes where the system tells you that you are not longer qualified because of your last answer. And let me tell you, that the time you spend on that survey is unrewarded, completely wasted time! Even if somebody else signs up when you refer them and they make 420 points in an hour, that’s only about 80 points that you are earning over theirs (at 20% commissions) or 126 points (at 30% commissions) at its best! Needless to mention that surveys are incredibly boring and nobody would stick with this way of making money for long. So you will always need to work and to refer more people to the platform so you can make those extra few points. There are many reviews and many youtubers that will supposedly tell you that you could make $25 to $100 a day with this, and it can make you $25 but not $100, and that too, it can only be achieved if you can refer a few people, who work every single day. Keep in mind that they are doing this to get the referrals too, so THEY can earn more money. You will have to advertise like they do, to make the same amount they do. You earn pretty fast the first few minutes you are on the platform because of the free points that they throw around, like for the setting up of your account and so on, but aftewards, it gets really hard to accumulate the points to be able to cash it out. I have showed you how earning $56 is unrealistic, and that the best you can expect, if you qualify for all surveys and your internet behaves itself all through 1 hour, that you can make $4.20 at its best, which is way below minimum wage. People can’t realistically even make this amount because of various reasons like not qualifying for the surveys, internet being slow, or the page takes forever to load because they stuff it with Ads. And, I have to really express my frustration about it; SURVEYS ARE BO-R-ING! And also better use of your time! It is the way that I, myself, make money on the internet. If you are a frequent visitor of my website, you will know that I have been the victim of a few scams online. I am not proud of it, but my goal is to reveal those scams and lowly platforms that exploit our weaknesses. I am not like those youtubers, promoting you a lowly platform where you have to work hard so I can make those extra pennies. No, what I wanted to build was a sustainable online business, making money from home and living the life of my dreams. But the scams got in the way, promoting thousands of dollars overnight, which unfortunately I (innocent me) fell for. But I didn’t stop searching and I found Wealthy Affiliate. Wealthy Affiliate is simply THE BEST training platform that will show you how you can earn that extra money, or even to replace your income, all from the comfort of home. 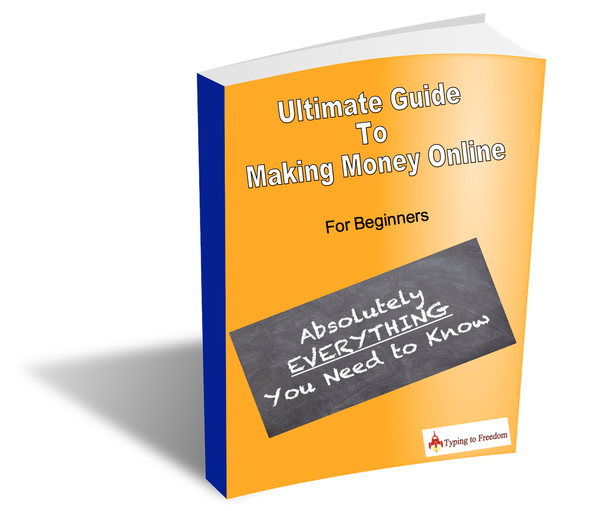 It shows you how to build an affiliate marketing business. Since I have joined this platform, I have not looked back. It is not a get-rich-quick scheme; it requires a lot of hard work, patience and dedication on your part to make this work, but it is well worth it. Contrarily to survey sites like Prize Rebel, Wealthy Affiliate can teach you how you can make a passive income online, learning at your own pace and earning while you learn. What’s more, it’s completely FREE to start! I really hope that this review was able to bring into perspective what Prize Rebel is and whether it is a good fit for you. I really hope you read further into Wealthy Affiliate though, because this is what truly is helping me achieve my goal of wanting freedom from my 9-5. Thanks for this review on Prize Rebel,I actually started experimenting with a few survey sites and Prize Rebel is one of them. I agree with your conclusion,it is tough to make any sort of decent money with survey sites. I think if you are really consistent,you can maybe make couple hundred a month,but you will have to be patient because as you stated,you won’t qualify for every survey and even those that you do qualify for, they take longer than expected. I actually do like one survey site and that is Swagbucks,out of all the sites I have tried,Swagbucks has the most opportunities to make some money. Still, you have to work on it to make anything worth your time. No worries, Minhaj. I really appreciate you reading my post and leaving a comment. It’s nice to have somebody else’s experiences on here. I agree, that if you are consistent then it can make you some money, but again, it takes a tremendous amount of time for you to even make $100. I have also tried Swagbucks, but to be honest with you, I have had the same bad / slow experience. I would rather spend this time to build a business that will pay me dividends later, rather than waste my time working for pennies. Great post. Totaly agree that surveys are very boring and you are not actually creating anything. Time is precious and should be spent working on something sustainable and rewarding in the long term. Thank you Lee Jones, for dropping by. I have never actually hated surveys until I started doing surveys online because not only is it boring, but it also wastes you a LOT of time when you spend 10 minutes on a survey and then find out that you are no longer qualified to continue. AND make no money for the time that you invested trying to complete it. My advice is definitely to make better use of that time, like you said, to build something sustainable and that could actually result in paying me a full-time income while I work from home. Previous Post What is Scribie and is it a good way to make money? Next Post How to Increase Sales Conversion Rate within 14 days – A Must read!